Highly Recommend written by mobile Love the scent! Prompt delivery! Smells good and not oily! My scalp is usually sensitive to oily shampoos but there was no itching after using this! However, if you have thick hair, it does not ‘tame’ the hair as well as the reviews have claimed. Overall, it is indeed moisturising. Highly Recommend written by mobile Ma Cherie Moisture shampoo. Well received in a box full of samples. Item came neatly packed and fast! Fast delivery. Value for money. Free gift of lipstick not bad too. Hi, which shampoo range shld I use for oily scalp & dry hair? Thanks. For MaCherie, oily scalp and dry hair is suitable for moisture range as it adds in moisture for your dry hair without stripping away any other excess oil for your scalp. It is not harsh on your scalp too. May i know is the shampoo suitable for oil hair scalp n danduff? If so, which series should i get? Yes it is suitable for oily hair scalp and dandruff. We would recommend the Air feel series as moisture might not work well for oily scalp as it is more suitable for people with dry and damaged hair. May I know when will stock be back for Ma Cherie Moisture Conditioner? Thanks for writing to us. We have noted on your query and have informed our purchasing team. At the moment, we dont have a tentative date and we will have working to have it as soon as possible. Thank you for your support. Hi! When are the stocks coming for air feel shampoo? Thank you for writing in to us. Currently we do not have a fixed date for the restocks of the Air Feel Shampoo. Do keep a look out for it so that you wont miss it! Hi i opt for store pick up during sekectuon but when i gi to my cart, it auto chg to Qprime delivery. Wat shld I do? Can i walk in n purchase? Thank you for writing in to us. With regards to the option for store pickup, if your total cart value is above $50, it would change to Qprime delivery as for orders over $50 in the same cart with sellers offering the Qprime delivery option, it would be free delivery. 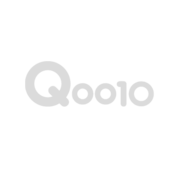 If your cart does not hit $50 and it auto switches to Qprime Delivery, perhaps there could be a bug in the Qoo10 system. In this case, we would be unable to resolve this issue on our end as it is due to a system error by Qoo10. If you face this situation, you can try writing in to Qoo10's customer service to feedback on this issue. And with regards to the walk in purchase, you are welcome to do a walk in purchase at our office. Do contact us at 91966663 to arrange for your walk in purchase if you like. May I know when will air feel shampoo restock? I would like to try sakura shampoo n continue air feel shampoo. Will restock for air feel come in time with sakura stock? Thank you for writing in to us. We currently do not have an exact date as to when the stocks for the air feel shampoo would reach our warehouse but the restock for the air feel shampoo should come in time before the Sakura sets run out of stock. However, do be on the safe side, we would recommend getting the sakura sets first as we are unsure if there would be a sudden large amounts of orders for the Sakura set. Do check the listing occasionally should the stocks for the Air feel shampoo come in as we are unable to message you when the stocks come in due to limitations on Qpost. Thank you. Hi when do u have stock for moisture conditioner? Thank you for writing in to us. We currently are out of stock for the moisture conditioner. The restock would take place next month but we currently do not have a fixed date as to when the stocks would come in. Do check our site regularly so that you can purchase the conditioner. Hi, I would like to check if your bundle of 3 have to include a Pyunkang Yul item? because i cannot add items to cart if I select none for that particular item. I'm not interested in the Pyunkang Yul item juts ma cherie, please advise. thank you. Thank you for writing in to us. The bundle of 3 does not require you to include the Pyunkang Yul item. To add the items to your cart, you would have to make 3 selections. You would have to first select one of the items from the pictures as the 1st choice, then followed by the other 2 choices under the bundle. Then followed by the pyunkang yul choice of none. Hope this helps in clearing the doubts. Thks for your prompt reply. There's only 3 choices given, bundle 1, bundle 2, and then pyunkang, there isn't a third bundle choice for me to choose from. The first choice is from the pictures where you select your choice of Ma Cherie range of products. Then it is followed by the bundle 1, bundle 2 and then Pyunkang Yul. Attached is the photo of what the selections should look like. The first choice, the picture choice, is the one marked out by the red coloured box. Then followed by the bundle choices inside the blue coloured box. The final selection before adding the items to your cart would look like the one in the lilac coloured box. Hope this helps to clear your doubts even better.